HARARE – The Glen View Complex on Monday caught fire — for the third time this year alone — destroying yet-to-be-quantified property and injuring several people at the site. 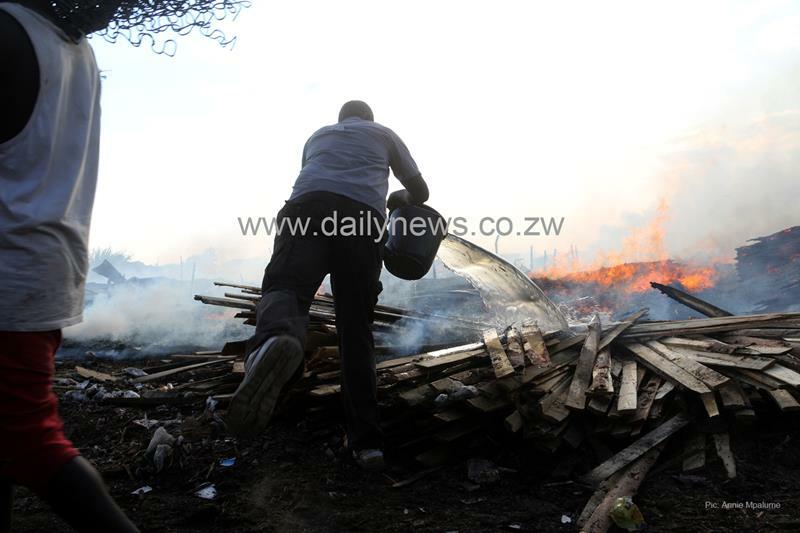 Only yesterday, sections of Siyaso home industry in the Magaba area of Mbare, Harare were burnt in an inferno, again destroying property and equipment. As though this was not enough, an Edgars and Coloursell shop in Kadoma caught fire. To make matters worse, there are fuel stations and residential properties close to both Siyaso and the Glen View complexes, signalling a real risk of catastrophes of very high magnitudes if key interventions do not take place urgently. The needless loss of lives must be averted at all costs especially when there is room to take preventive measures in advance. It is clear that the two complexes, which have housed many informal businesses, are over-crowded calling for action towards ensuring there is enough space that allows for safe and profitable activities. There are several other places that are equally crowded, for instance the Mupedzanhamo and Mbare Vegetable markets, and place the lives of the thousands of people who operate from there at risk should any mishap take place there. The Small to Medium Enterprises ministry should look around the city in order to come up with alternative sites for informal businesses — which for long have provided livelihoods for so many families. Where such alternative sites are found, there is need to ensure the placement of glues, paints, varnish as well as insecure power connections which could easily cause and worsen the incidence and severity of fires are sorted out. Besides, there is a lot of rubble, sawdust and other flammable debris from carpentry operations in the complexes which can worsen any fires that break out. These are safety precautions that can easily be put in place to avoid the loss of lives and property. All this is achievable, especially if there are co-ordinated and concerted efforts between stakeholders. For the City of Harare, the two incidents are enough indictment on the council’s internal systems, especially those that regulate operations of informal businesses. Council must inspect informal traders’ sites since no one else does, perhaps with the exception of the Environmental Management Agency (Ema). As such, both Ema and all local authorities must provide answers as to why such sites go scot-free when they endanger people’s lives and property.